We understand that the planet is under considerable pressure from climate change, environmental destruction and the overconsumption of resources, and that the fashion industry is a big contributor to the problem. We want to be part of the solution. Barkers has quietly been working on a number of fronts to make sure that, behind the scenes, everything is as decent as what you’ll find on display in our stores. This means auditing our suppliers, our manufacturers and ourselves to make sure we’re selling ethically and sustainably produced goods, with a minimum of waste. 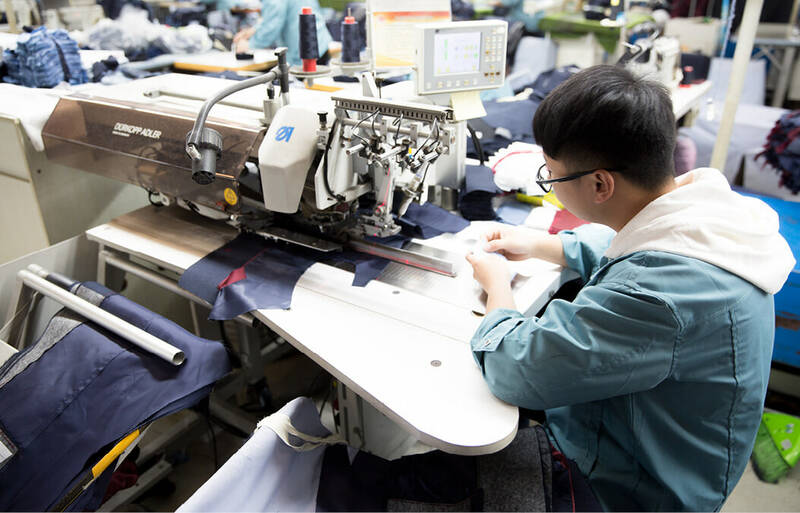 Because we deal directly with our factories, often personally visiting them, we can say, hand on heart, that we have a world-class supply chain of exceptionally high standards. We don’t use many suppliers, and all must sign up to a code of conduct that ensures human rights, fair wages, good working conditions, no forced, prison or child labour, and no use of harmful dyes. We personally visit our suppliers twice a year, sometimes more, to check in with them, too. However, we’re conscious that real, meaningful change is a massive undertaking and that we need to do a lot more if we are to play our part in changing the way we do business to make a real impact. We’re at the start of a long journey. We’re proud to have made a start, and believe that every positive action is a step in the right direction. Here are ten changes we’ve made so far. 1. We’re certified Child Labour Free. We’ve had our entire supply chain audited by Child Labour Free, an independent organisation, and our manufacturers have been certified Child Labour Free. 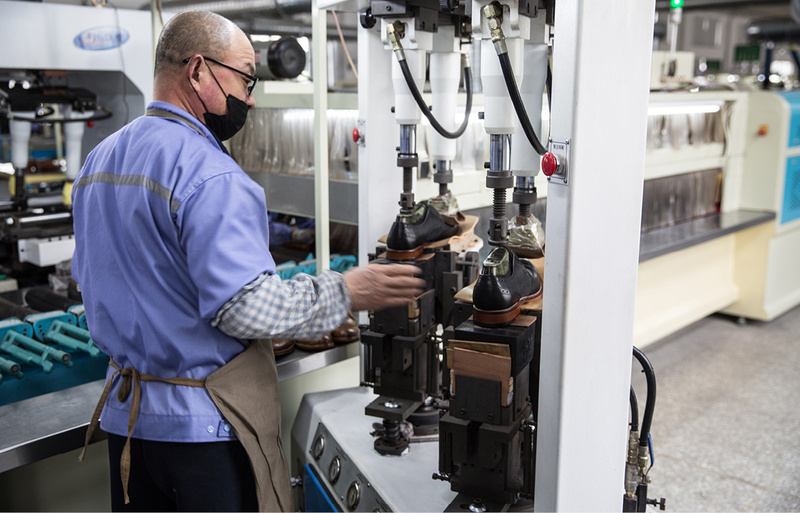 Our factories received an average grade of 86%, with no critical non-compliances found, and all major and minor non-compliances were remedied by the factories within 60 days. 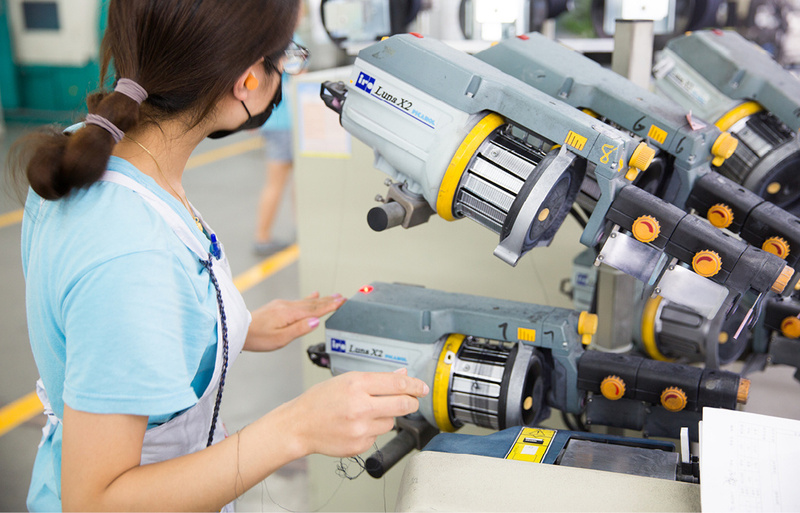 We’ll keep auditing our suppliers annually, and start auditing at the materials level in the coming year. 2. Our head office is solar powered. Our new Head Office in Auckland is solar-powered, which reduces our consumption of commercially-generated electricity, and we recently changed all of our stores’ lighting over to LED, which reduces power consumption. 3. We’re proud worm farmers. Worms help convert the carbon in organic waste into a form that can be stored in soil, so our Head Office also uses a worm farm to limit our rubbish output. 4. We’re using biodegradable garment bags and forest-friendly garment labels. Packaging is a necessity for us — to protect garments during transit and in storage — but we have removed as much packaging as possible coming from our suppliers, and we now use recyclable, starch-based poly bags for our garments, which, unlike petroleum-based plastic bags, breaks down organically. Our Distribution Centre has a paperless inventory system and recycles all cardboard and plastics, and we’re in the process of developing a reusable garment tote for stock deliveries, instead of cardboard boxes. We’re changing all of our garment labels to paper certified by the Forestry Stewardship Council. 5. We’re trialling reclaimed fibres. As new, improved fabric technologies become available, we’ll incorporate them into our product line-up. We’re currently trialling Repreve, a premium denim made using a blend of cotton and a polyester fibre spun from recycled plastic bottles and industrial polyester waste. We’re also keeping an eye on waterless denim technologies and working on sourcing a recycled board short fabric for our 2018 Surfline collection. 6. Our cotton is going organic. We want to use cotton that’s grown efficiently, with minimal impact on the soil and natural habitats, without the use of harmful chemicals, by farmers and workers who are treated fairly. We’ve begun using cotton accredited by the Better Cotton Initiative and certified organic cotton in our t-shirts. Our goal is that within three to five years, 100% of our cotton garments will be sustainably farmed or certified organic. 7. We never dump any garments. Obviously we’d love to sell out of everything all the time, but unsold stock is a reality — and an environmental issue. We’ve been actively reducing our stock purchases to minimize excess stock in the market and reduce waste. We also focus on producing high quality product that’s made to last, source smaller product runs, and deliver stock weekly in a targeted fashion (so we’re delivering coats when it’s cold), and review sales weekly to see if we can help a style that’s lagging. Our outlet stores play a vital part in helping to prevent waste by clearing slower-selling styles at a discounted price. We have four outlet stores, including one recently opened in Avondale, Auckland. We never dump any garments. Everything we make is sold or donated to charities like the Salvation Army, and our excess fabric is donated to craft users. Our merino garments are made from Biella yarn, named after a town in Italy which has been processing wool since the 1800s, and produced by Sudwolle, a family-owned Bavarian company. It’s certified by the Responsible Wool Standard, which ensures that our wool comes from farms with a progressive approach to land management, and from sheep that have been treated responsibly. We don’t use any angora or astrakhan and we don’t use real fur, other than possum fur, which is harvested from wild pest populations, as recommended by the Department of Conservation. Our down-filled jackets are also certified Responsible, meaning the down is collected from ducks and geese who are treated humanely — no force feeding, no live plucking. Because our suppliers are offshore, we ship our product to New Zealand, which has a lower carbon footprint than airfreight. To reduce our carbon impact further, we consolidate our freight containers to maximise use of space and reduce the waste of empty shipping containers. We’ve also worked with the Thames Coromandel District Council to plant 1000 native trees near Cathedral Cove. Photos: Getty Images, Jamie Whiting.